Last night, my sister and I taught a class on Enjoying Your Summer with Essential Oils. Even though summer is a wonderful time of year, it also brings it’s own unique set of challenges…. How do you best support and take care of your body in the summer? 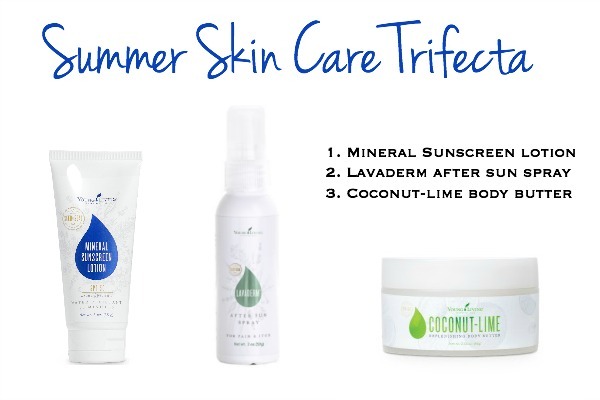 How do you protect your skin from the sun or long hours of being in the water? How do you keep those pesky bugs off of you? And how in the world do you survive traveling stress that inevitably come with family vacations? So you need a good sunscreen to protect you from harmful UVA and UVB rays. Unfortunately, MOST sunscreens on the market today are filled with harmful chemicals. For example, google “dangers of Oxybenzone” and see what you find out. (YUCK!). You shouldn’t have to compromise your overall health just to protect your skin, right? Young Living’s Mineral Sunscreen Lotion protects your skin without using harsh chemicals. They use hypoallergenic ingredients, and skin-loving oils like Helichrysum, Carrot Seed, and Sacred Frankincense. It’s FDA approved and SPF 50. 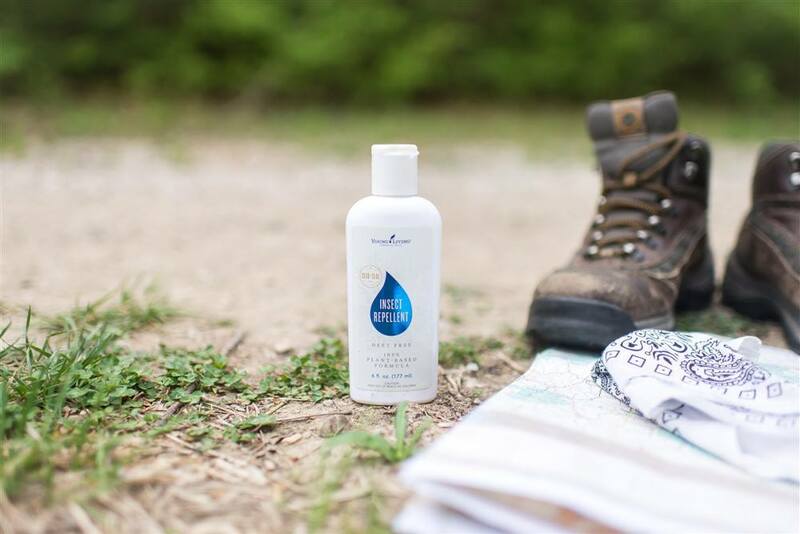 Young Living’s LavaDerm After-Sun Spray will refresh and recover your skin from the pain and itching of minor burns, minor cuts, sunburns, scrapes, insect bites, and minor skin irritations. Lastly, Young Living’s Coconut Lime Body Butter helps to moisturize your skin. It features lim essential oil and uses plant-based ingredients to deeply moisturize your skin with a non-greasy formula. That’s why I am so glad that Young Living has an insect repellant that has been tested to repel mosquitoes, ticks, and fleas using 100% naturally derived, plant-based ingredients. Pure sesame oil and a carefully selected blend of essential oils make up 99% of the active ingredients. The other 1%?….Vitamin E. You can put this repellant on your kids and not worry at all! If you want to travel with TSA compliant toiletries, you may be interested in Young Living’s “Bon Voyage Kit.” I have this kit, and LOVE IT! It is so easy to throw in my carry-on and be ready to fly! We all know that long hours of sitting on a plane or in a car can wreck havoc on our joints and muscles. The best two products to help relieve the discomfort is Deep Relief and PanAway. Deep Relief contains Peppermint, Wintergreen, Dorado Azul, and Helichrysum essential oils. PanAway (found in the Premium Starter Kit,) contains Wintergreen, Helichrysum, Clove, and Peppermint essential oils. Simply rub these oils directly on those tire joints and muscles for support. 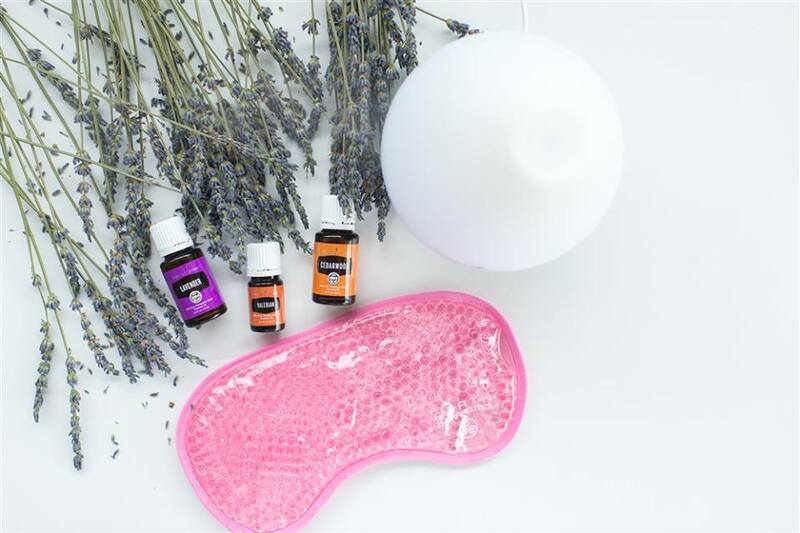 Getting a good night’s rest on vacation or while traveling can be hard sometimes, so I ALWAYS take my diffuser with me! Three great oils to diffuse are LAVENDER, CEDARWOOD, and VALERIAN. You can diffuse these separately, or mix them together to create your own blend. But one thing fo sho… You will sleep sooooooo good! There is NOTHING worse than getting sick while on vacation or traveling. UGH! Being in contact with so many people, especially in closed spaces like cars and planes, you will be exposed to many different germs. 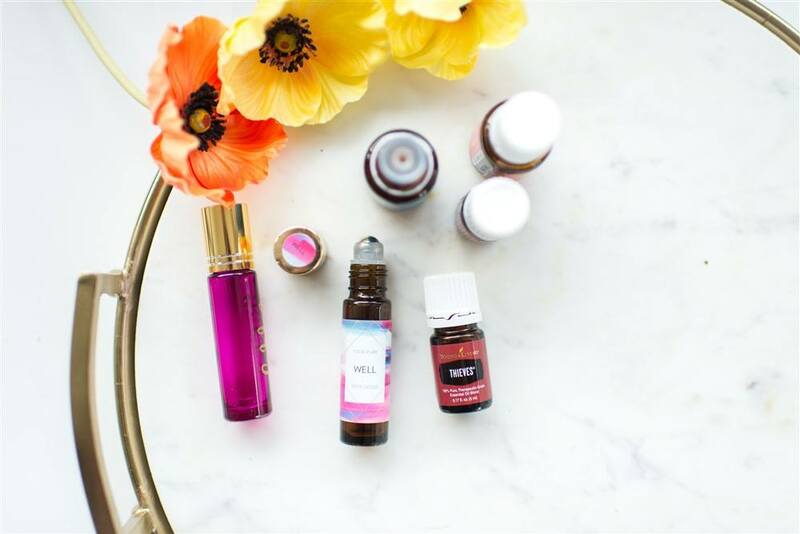 To keep you and your family ABOVE the wellness line and feeling good all summer long, be sure to support your immune system with essential oils like Young Living’s Thieves blend. It’s the bomb.dot.com. 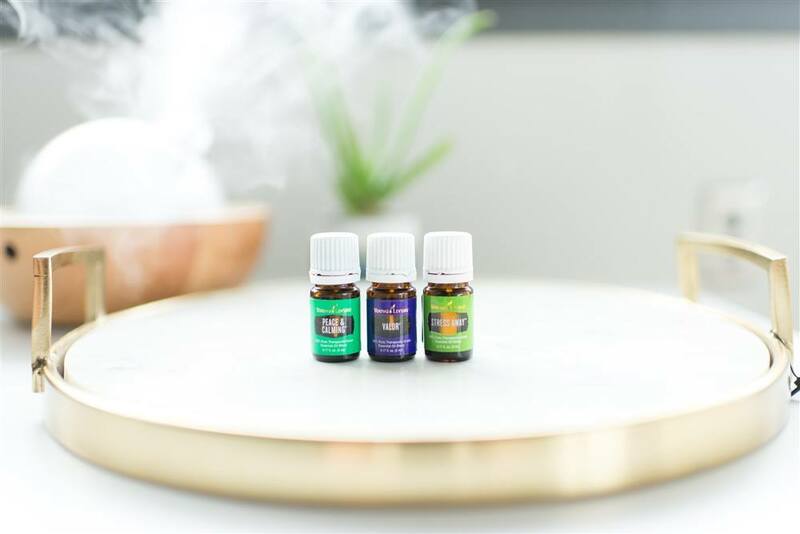 VALOR: This is one of Young Living’s most popular oils. Its woodsy, positive scent comes from a blend of Black Spruce, Camphor, Blue Tansy, Frankincense, and Geranium. PEACE & CALMING: A gentle, sweet blend of Ylang Ylang, Orange, Tangerine, Patchouli, and Blue Tansy. STRESS AWAY: This is a delicious blend of Lime and Vanilla extract and lives up to its name. I like to put a few drops of one of these oils on a small piece of cottonball and stick it in my air vents. Instant car diffuser! It smells so good and sets the mood for relaxation in the car. Or you can just rub them on the bottoms of your feet, back of neck, or rub in hands and cup over nose to inhale. Have you used any of these oils while traveling? Which are your favorite? If you want to get started with oils, Young Living is doing an AWESOME promo until Friday at midnight! 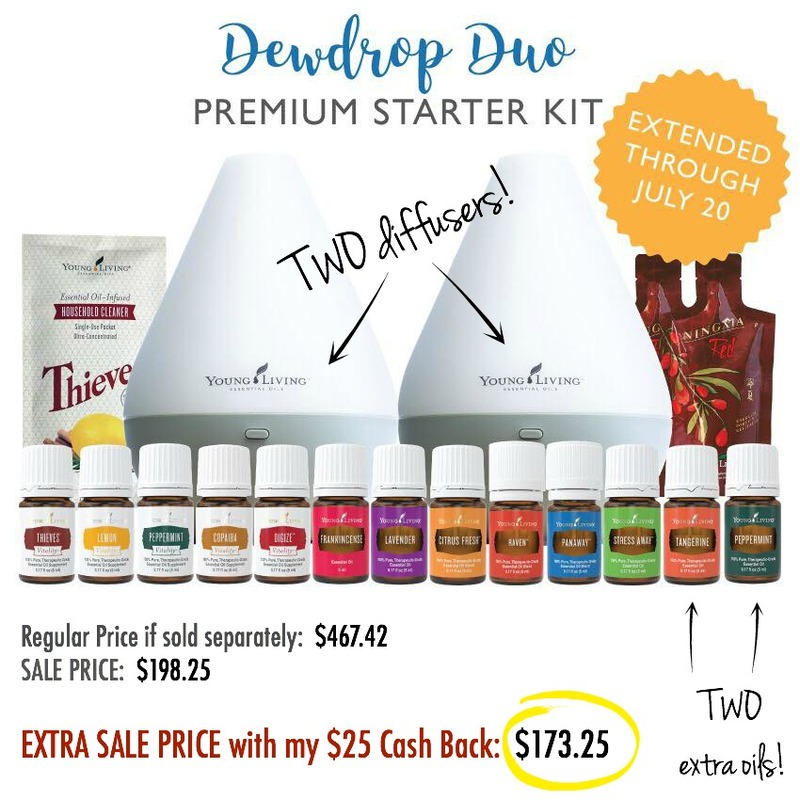 They are offering the Dewdrop Duo Starter Kit!! And to sweeten the deal EVEN MORE, if you sign up with me, I will give you $25 CASH BACK! (I can give this to you via PayPal, Amazon gift card, or Product credit on your new Young Living account. You choose!). Once you join my “oily family,” I won’t leave you high and dry. haha! 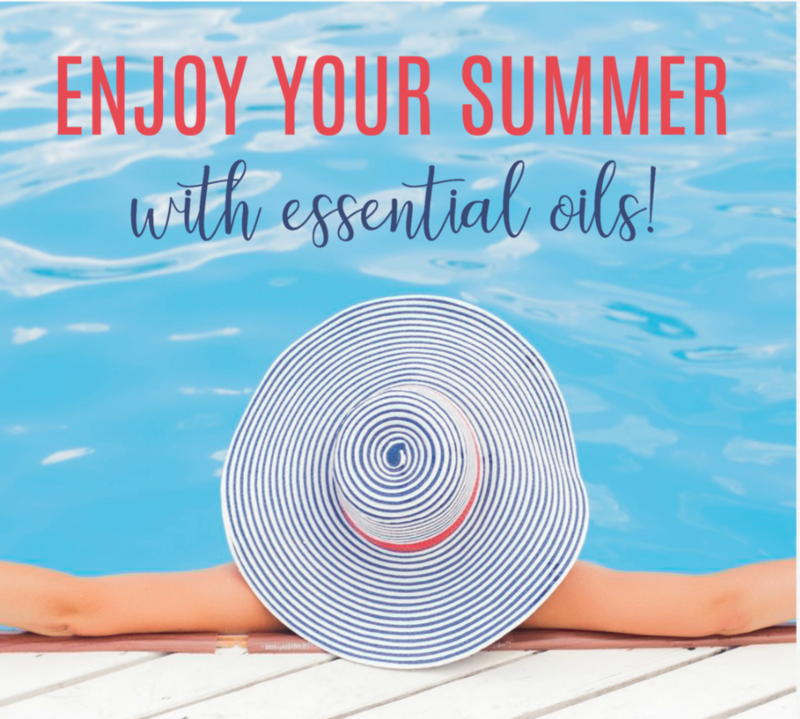 You will be invited to our private Facebook groups where we talk about how to use the oils and share a TON of great information. You will love it! Plus, I am always a text away if you have any questions for me personally.